Everything you could want to know for getting more online reviews from your customers. 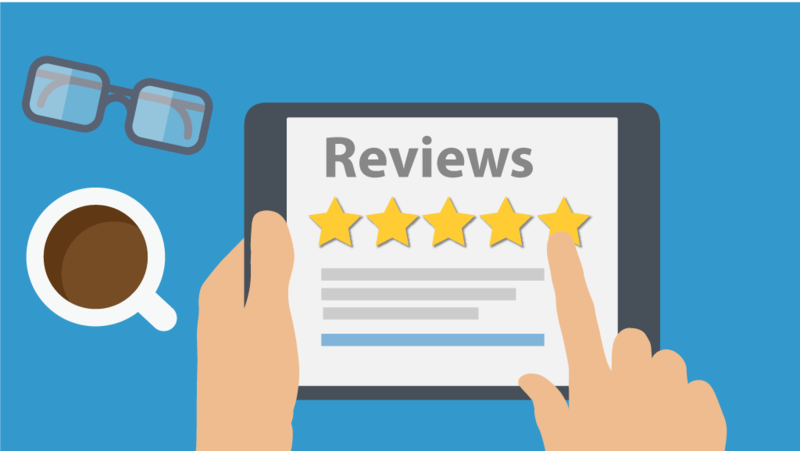 Most businesses understand the importance of online reviews, and we’re going to share the why and how on what you can do for getting more reviews. With 90 percent of consumers trusting online reviews as much or more than personal recommendations, this is one strategy that any sized business can benefit from. Most consumers (over 70%) state they would provide a review if asked. But most businesses do not ask. In one study it was mentioned that 32% said they either don’t think it’s appropriate to ask or don’t have an easy way to get reviews. When you request a review shortly after a sale, it’s more likely that the customer will comply. They might require a few reminders, but it’s far more certain a customer will be willing to provide a review compared to when too much time has passed. Ask anywhere from an hour to a day after the sale, and follow up weekly a few times. In addition to being prompt and sending those review requests soon, timing can be everything. One study suggests that between 1 and 3 pm is the ideal time to ask, and response rates can jump up to 20%. The theory being that people are returning from lunch, checking emails, and not necessarily ready to get back to work. Also, it’s found that 33% more reviews are written on a Monday than a Saturday. Even when not asking, to make reviews visible not only helps conversion when people visit your website, it’s also a reminder to past customers. Not all will do so on their own, and asking for reviews only helps. Displaying badges also suggests websites you might like prefer customers to leave reviews. In the case of Yelp, you should not ask for reviews as it goes against their terms, but displaying a badge can remind customers and help to find your page. If your customers come to your place of business, such as a restaurant, retail shop, clinic or similar, you can put a request near your point of sale or checkout area reminding them that if they were happy with your product or service, you would appreciate a review. If you’re able to acquire their email or phone number for things like coupons or newsletters, it also makes it much easier to send those much needed reminders as well. While you probably should not try to incentivize review requests, you can reward those that do leave a review, which can create positive sentiment and make them feel appreciated. This can also create additional word of mouth at the same time. Asking for a review with the promise of a coupon or other incentive isn’t a good idea, but you could randomly show appreciation to some by offering as a way of thanks. Ensure you have registered or claimed the main websites where reviews might appear. The main ones include Google My Business (GMB), Yelp and Facebook, but there’s often a small handful of others you should monitor and manage too. Determine which matter for your business by searching to see what makes sense for your business. Fewer than 55% have created or claimed a GMB profile page, and less than 40% on Yelp, providing you an opportunity to stand out amongst the competition. You want to monitor, manage, and respond to the reviews on sites like these in order to reap the benefits. Reviews are similar to testimonials, and provide social proof to consumers deciding whether to do business with you. They can help convert a customer to choose your business, and in some case provide additional word of mouth referrals. They also build trust, especially when a consumer sees a review from someone they know that’s taken the time to write one about your business. That’s local marketing advocacy and a review, referral or testimonial carries a lot of influence for consumers, creating micro moments that help convert. Add review requests to most of your communications. Besides receipts and invoices, you can also add to email signatures and business cards. Increasing the visibility of your request also increases the odds of unsolicited reviews. While it pays to ask, its also good to make customers aware that you would be interested in a less direct way too. Visibility of your interest in receiving a review from customers can help as well. Whether it’s a sticker on the door or a poster near a checkout, planting this seed can be enough for a few to take action. While it starts by asking for reviews, once isn’t enough. People can be busy, forget, or simply asked at the wrong time. To effectively manage the process, you need to remind customers of your request for a review. Which is one reason why using review management software like NiceJob with automated reminders creates better results than requesting manually. 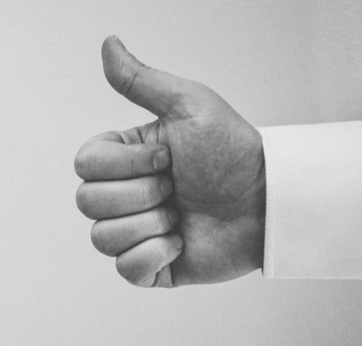 Users of NiceJob see 75% more reviews within 3 months on average, which generate more business and sales. Most know the popularity of Facebook makes it a great place to have a business page, and to get reviews. Since the activity of users can appear in the stream or feed of their connections, you’re able to get additional exposure that’s usually very beneficial to small businesses looking for ways to reach local markets. Be sure that your Facebook review tab is visible and activated. If it isn’t, your great reviews will be hidden from potential customers. You may have been on a Facebook page of one of your favorite businesses and noticed you can’t leave a review. It’s because they haven’t activated the option to leave Facebook reviews or feedback. To active reviews for Facebook, visit the settings of your Facebook page. Next, scroll down inside the General section to where it says reviews and turn them on. By responding to all feedback, you will actually get more reviews. Even if someone just left a star-rating without comments. You should always thank the customer when and where possible, and not use ‘canned responses’ at all. Without doubt the reviews on Google My Business (GMB) are powerful. Most consumers will turn to search when looking for info on a local product or service, and Google has the largest market share when it comes to search engines. Within local search results are businesses with reviews appearing almost 95% of the time. If you haven’t registered your business with Google, do so immediately. Near 50% of businesses have yet to do so, and it’s one of the easiest ways to create exposure and more customers for your business. When you’ve verified your business with Google, your reviews not only appear in search results, but can also appear on map searches as well. In addition to Google and Facebook, one other platform most businesses don’t want to overlook is Yelp. It’s big, and not to be ignored. As mentioned, it’s not advised to request reviews for Yelp as it goes against their TOS but you can display a badge on your website or offer a link. This indirectly suggests it would be appreciated and complies with their terms. Be sure to respond to Yelp reviews and others, regardless whether they're positive or negative. You work hard to provide a great product or service, along with exceptional customer service, and great reviews and referrals are part of the reward. When you share your reviews on social media you can amplify the exposure. Also, it makes it more likely that others will provide you with an online review as well. Social media doesn’t work for most that only mention themselves, it isn’t an advertising platform. It’s for sharing, both about your company and what might interest others from a variety of sources. But you can share reviews from time to time, along with other success stories, when selective and infrequent. Another form of asking for reviews is placing CTA’s (call to action) on your website for visitors to find. Adding something such as “Leave us a review” on your site can be extremely effective to encourage visitors. If you have a newsletter, that’s another place you could include a CTA to try and get more reviews from customers. Encourage and incentivizing employees to request customer feedback and reviews can make a significant difference. Make it part of your training, and process or policy. A number of employees take pride in their work, and these are often the types of people you want on your team to retain, and reward. When employees are incentivized to request reviews, great things can happen. You’ll get more reviews, and when you reward your employees for doing so, it creates competition and incentive to be the best in another way. Some businesses will reward advocacy of their employees when they can get verifiable mentions. When a customer leaves a review and mentions an employee by name, a business is able to track and reward them. There’s many ways to go about this, and it’s often worth your effort to develop such a program within your business as you’re almost certain to see and increase in reviews, customers, and sales. There’s no avoiding negative reviews. Sooner or later, it happens to all businesses. As they say, you can’t please all people all the time. But you can use negative reviews and feedback to your advantage. About one in 25 ever mention why they’re dissatisfied, so this can be valuable info to improving your business. What happened to the other customers? They don’t say anything, they just disappear. This type of insight can be valuable, especially when it might be a recurring issue. You should also respond to negative reviews because when you do it is an opportunity to try and resolve an issue. Not only is it worth the effort to try and retain customers, which can usually be done with a little effort, but others see your responses. There are many cases where how a company responds to negative reviews has influenced others to choose a business. When you’re replying, it’s not just to the individual, but to everyone that might be reading those reviews. By making an effort to make a customer happy, the visibility of online reviews has been known to influence others. While it’s tempting to delete them, it isn’t advised. Many consumers are on the lookout for negative reviews, and most know they should exist. A business without negative reviews can seem unlikely, and how a business responds to negative reviews has influence. Being apologetic and showing signs of genuine interest and concern in resolving issues can tell consumers that if they experienced a problem, they can count on you to make it right. If you simply tell consumers you want reviews, you’re making it harder for yourself to make it happen. To get more reviews you should suggest where you would appreciate a customer to leave them for you. It is absolutely essential in most cases to ask customers more than once to provide a review. Many forget or not able to do so at the time you asked, and reminders only increase the odds of getting more reviews for your business. Review management software like NiceJob make a big difference due to the automated reminders. According to one study, over 70% of consumers said they are willing to provide an online review for a business when satisfied and asked. However, about half do so, and for the most part it’s often because many businesses only ask once and don’t remind the customer. To do so manually quickly becomes a challenge, when combined with sending out new review requests daily. Which is why businesses that use review management software tend to find more success when it comes to getting more reviews from customers. While review sites like Google, Facebook and Yelp have been mentioned, there are many many other options out there, and probably one for your type of business. For example, if you’re a restaurant or hotel, then TripAdvisor is probably a review site that you should be on. If you’re a doctor, plumber, lawyer, or just about any other business it’s almost certain there is more than one review site you should try to be part of as well. You can’t manage things if you’re not monitoring. Without keeping an eye out for reviews to reply to, whether positive or negative, how can you know when they occur? Also, without monitoring you are less likely to maintain a strong overall rating. An effective review management strategy involves monitoring, managing and requesting new reviews. Doing so helps to improve your visibility, increase reviews, along with sales, and grow your business. In order to encourage customers to write reviews for your business, it starts with a great product or service and more than good enough customer service. In one study over 80% of businesses thought they provide exceptional customer service, but when the researchers dug into things further, it was found that about 8% of customers agreed. Good isn’t good enough. If you want to earn great reviews from customers, you need to try and be the best at what you do. Additionally, most negative experiences with a business are usually related to customers service, something that is completely within your control to manage and improve on. There are times where customers might verbally communicate gratitude or praise. This is an opportunity where being proactive can result in getting more reviews. Explain that their feedback means a lot, and you would be very appreciative to be able to share it with others through an online review. The best way is to go about in the moment. When you’re in the moment and the customer is in a positive state of mind, it’s more probable that they would comply with any requests to take their praise and create an online review for you. The challenge lies in being able to connect. From being able to give them a printed card to communicating with them by email or text, just asking is not as effective as being able to continue communicating with them. A printed card should be a last resort, which is a reminder, but doesn’t allow a means of reminding the customer. Which is why (to repeat myself) it is invaluable for a business to build a list of customers with contact details. When you receive referrals, reviews or testimonials, finding a way to feature the customer is a way to show your appreciation. From sharing on social media to including their feedback along with a photo on your website. By contacting customers and asking for their help, it’s a different approach that can resonate with your customer simply by changing how you went about requesting a review. Sometimes it’s all about how you say it. This can be used as a way to appeal to a customer through reminders. When you focus in on requesting reviews from your best customers, they’re likely more inclined to provide you with a positive review. For the ones you recognize and see often, you could place a printed request in their shopping bag or staple to their receipt. It’s great if you’re registered your business on Google, or Yelp, or Facebook, but when you only have one platform or review site to collect reviews, it decreases your chances. While you won’t need to be on every possible review website that you can find, you should monitor and manage the ones that are the most important to your business. Another way to try is by engaging with the customer on something else, such as whether they were happy with customer service or thier latest purchase. With this approach you don’t want to try and sell anything other than demonstrating an interest in the customer. Should they reply, this is when you could mention your appreciation of an online review. It’s going to sound simple, possibly silly, but it works. Aim to be the best at what you do and great reviews often follow. But keep in mind that relying on things to grow organically is a slow way of ever making that happen. It’s best to manage the process, request, as well as follow up. It starts with creating a great customer experience, and also to ask for reviews. But if you want to encourage customers to write reviews, you need to make it easier for them to do so. Being listed on the main review sites, and making it known and visible to customers always helps. Many of the tips above will provide more customer reviews, but the essentials for success are great customer service, asking for reviews, and reminding them to do so. When it comes to online reviews, consumers don’t just look at the star rating. They also look at the overall number of reviews, along with how recent they might be. Many businesses make the mistake of getting a handful of reviews, and move on. To get the most from your online reviews you want to ensure that you continue to acquire a steady stream coming in, so that you always have recent reviews. Most consumers (over 70%) believe that reviews older than 90 days are no longer relevant. Within your email signature, you should always display links to your Google My Business, Facebook and Yelp pages to make it easier for customers. It’s worth mentioning that businesses which make the effort to collect emails from their customers for newsletters, rewards programs or other purposes have an advantage over those that don’t when it comes to online reviews. It’s a direct channel of communications, and something every business should aspire to build. It’s also worth noting that when you focus on reviews, you improve your local search results and see a benefit to small business SEO efforts, along with taking care of reputation management. With all these tips, now all you need to do is figure out is where to start. We’ll share this much - it’s a process, one that requires management and automation. This is why NiceJob was created. To get more (and better) online reviews.